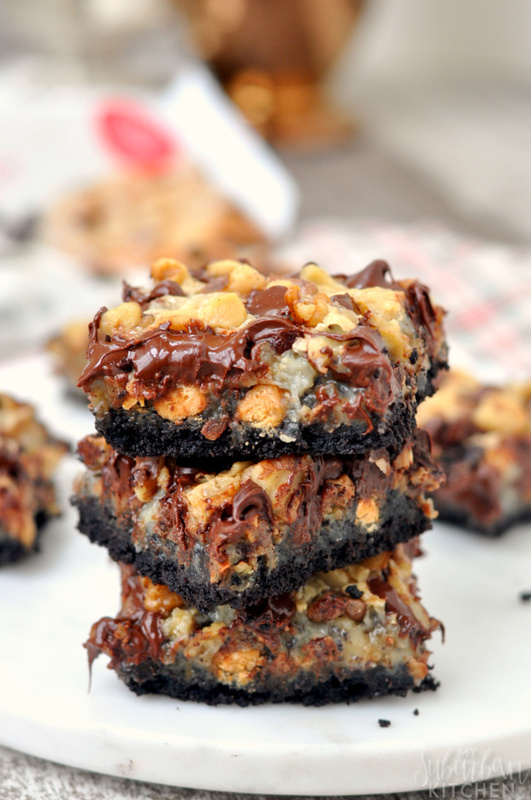 Coconut Chocolate Magic Bars - An Amazing Magic Bars Recipe! 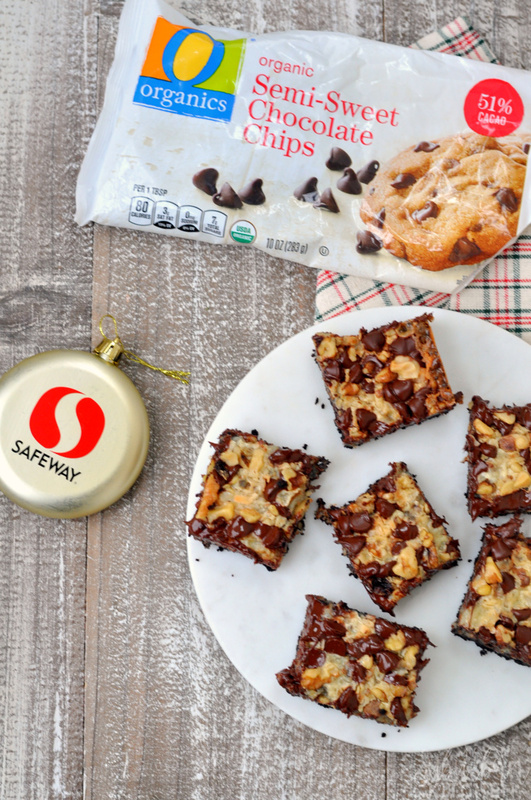 I am so excited to partner with Safeway to bring you this delicious recipe. While this post is sponsored, all thoughts and opinions are my own. Your holiday baking needs to start with these Coconut Chocolate Magic Bars. They are so easy to make and taste so good. Everyone will want one, or two! Two things happen during this time of year: I spend a ton more time in the kitchen and I also spend a lot more time at the store. They kind of go hand in hand because I obviously need ingredients to make whatever I am cooking in the kitchen. While I do cook all year round, this time of year is when I do a lot more baking. Right now, these Coconut Chocolate Magic Bars are our top favorite of everything I’ve made. I usually head to the store on Tuesday nights while my daughter is in gymnastics practice for 3 hours. There is a Safeway right down the street, which always has everything I need and the friendliest staff. I think, by the end of the holiday season, we’ll all know each other by name! One thing I love about Safeway is the availability of their O Organics® products which, for the Northern Virginia/DC/Maryland region where I live, are available exclusively at Safeway. Safeway is my one-stop shop for all of my baking needs because they have over 400 USDA-certified O Organics products available. It makes baking up sweets like these coconut chocolate bars even better! 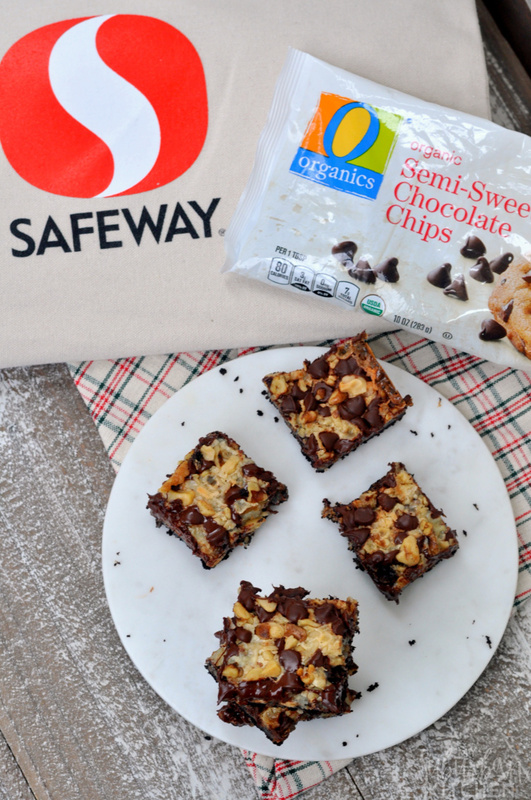 Safeway believes that great-tasting organic food should be available to everyone and sold at a great value. I love going to my Safeway store to look for ingredients for whatever recipe I am making because I am likely to find an O Organics version for a great value. Saving money on ingredients means I can bake even more coconut bars to share with my friends and family this holiday season! 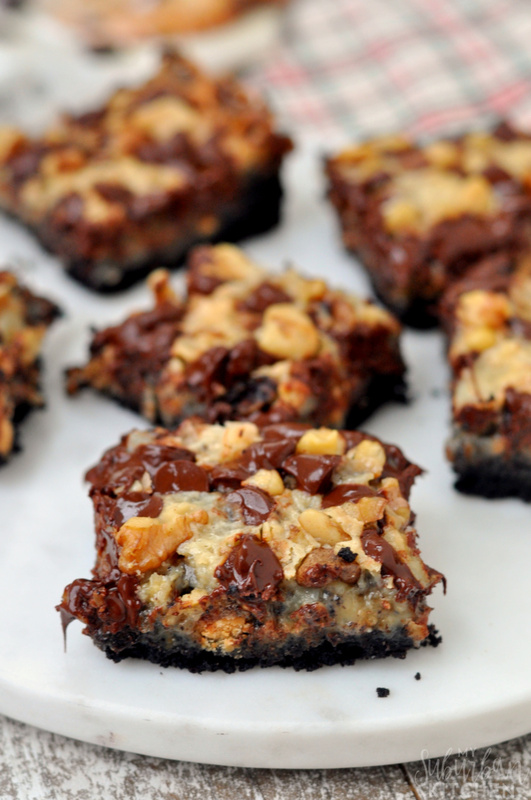 These Coconut Chocolate Magic Bars are perfect for any holiday baking you do this year! 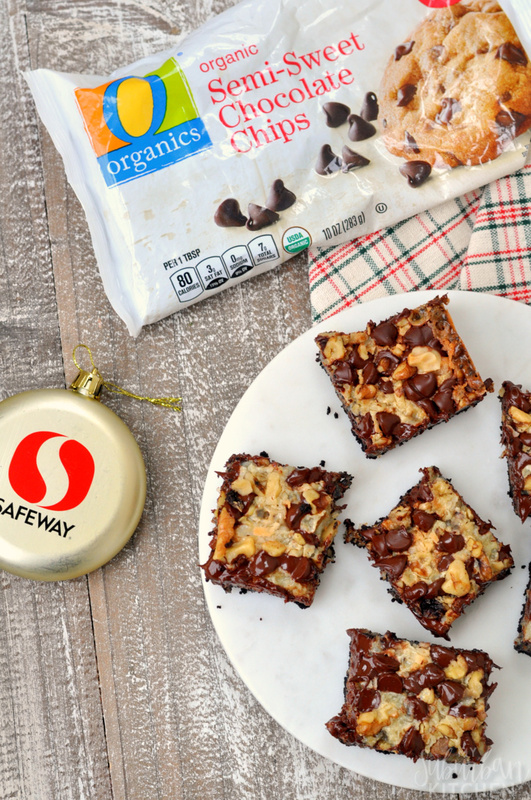 From treats to give as gifts or just to keep around the house to feed your sweet tooth, these magic cookie bars are fantastic and so easy to make. While I buy my O Organics products at my local Safeway store, you can find them at all of the Albertsons Companies family of stores, including Albertsons, Jewel-Osco, Vons, Pavilions, Randalls, Tom Thumb, Shaw’s, Star Market, United Express, United and Carrs/Safeway. Visit here to find a store near you and to discover more meal prep tips and recipe ideas. 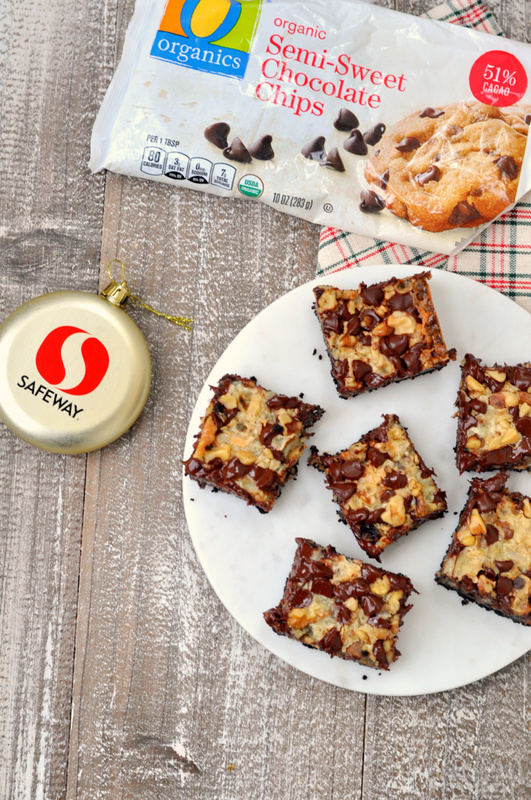 If you are interested in trying Safeway’s Grocery Delivery this holiday season, save with Free Delivery on your first order or $25 off + Free Delivery on your 1st order when you spend $100 or more. Enter promo code: SEASONSEATINGS at online checkout. Offer valid through 1/14/18. Combine cookie crumbs with melted butter. Stir to combine. Press into bottom of prepared baking pan and refrigerate for 15 minutes. Remove crust from refrigerator. Spread sweetened condensed milk over top of prepared crust. Top with butterscotch chips and toffee chips. Sprinkle coconut flakes over top. Top chocolate chips and walnuts. Bake in preheated oven for 45 minutes or sides are lightly browned. Cool completely before cutting. Store in refrigerator. These look amazing! Love the O Organic products! Looks incredible!! Thanks for sharing!!! When using the sandwich cookies do you leave the vanilla creme between the cookie or do you need to scrape that off? I leave the creme on. If you wanted to leave the creme out, I would just recommend chocolate wafer cookies to save time. OMG! This looks really mouth-watering. I am definitely craving for some chocolate bars right now or a really good brownie. Can’t wait to try this. In fact, I am going out today to grab some ingredients.